Continue supervising brushing until the age of 7 or 8. Supervise your child's flossing until they are 10 years old. Visit the dentist every six months. Sealants are an excellent preventive measure against cavities in permanent molars. We also make it a point to provide information on proper teeth care so that our patients walk away with the knowledge of how to keep their teeth healthy. Explaining your child his or her oral health is what we believe the first step in making them feel more comfortable going to the dentist. The authority on children's oral health, The American Academy of Pediatric Dentistry (AAPD) strongly supports children’s oral health and promotes evidence-based policies and clinical instructions, educates and informs parents and offers continuing professional education for pediatric dentists and general dentists of children. Through their guidelines,we learn to give young patients the best dental experience and make them trust our well trained dentists. Kids dentists in Passaic address all concerns with the best treatment that is needed so sooner or later, your child will love going to the dentist. For more information, contact Clifton Pediatric Dental Care at 973-473-7377 today. When it comes to finding dentist for your children it can be pretty daunting. You may have a lot of concerns because children tend to be very sensitive to the word dentist. Part of your worries will include, is the doctor experienced with children? will my child feel comfortable? How will they handle the dental procedures? However, thanks to Clifton Pediatric Dental Care you can stop worrying about these things when taking your child to the dentist. You can finally get a good pediatric dentist in Bergenfield, NJ that will keep your child at ease and you worry free. Clifton Pediatric Dental Care is the dentist specialized only for children. Everything in our offices from our waiting rooms to equipment are kid friendly. We are all about the comfort of your child in order to create positive experiences with children and dentist. Our goal is to not only treat your child but educate them on the importance of oral health. We want to create good habits that will carry on a lifetime of healthy smiles. Just the best pediatric dentist in Bergenfield, NJ dedicated to work with your child, we provide games, toys and kid oriented waiting rooms as you wait. The comfort does not end in the waiting room, we use kid friendly tools and techniques to keep your child at ease in the care rooms too. We do it all because we know how important your child's oral health is. Click the link, Clifton Pediatric Dental Care suggests dental books for kids. Now that you found the best pediatric dentist in Bergenfield, NJ, call the Clifton Pediatric Dental Care professionals at 973-473-7377. Looking for a good dentist for your child? Then, you should know that there are many advantages of a pediatric dentist in NJ. As a parent searching for your child's dentist can be really difficult, you might be worried; is this dentist good with kids? will your child be comfortable at this dentist? or are they friendly? The good news is at the Clifton Pediatric Dental Care we put all of your questions to rest. There are many advantages of a pediatric dentist in NJ with the Clifton Pediatric Dental Care. Our priority is to make you child comfortable through out their visit. We want to make the encouragement of good oral health a positive experience for our young customers. This will allow children to gain healthy habits that carry out a lifetime of good oral health. Here at the Clifton Pediatric Dental Care all of our tools and facilities are designed for the comfort of your child. Our offices include games so that children can feel at ease when visiting the dentist. You can feel good too that your child can finally have a good experience with oral care. You may have some questions for your pediatric dentist about your child's oral health. Now you know the many advantages of a pediatric dentist in NJ and can call the Clifton Pediatric Dental Care professionals at 973-473-7377 to schedule an appointment. When you take your child to a Teaneck, NJ pediatric dentist you should consider asking him the following questions. At Clifton Pediatric, our NJ pediatric dentist not only has the answers to all the above questions and more, but also has the training and education to make your child feel as comfortable as possible. Dental care varies for preschoolers, elementary and middle schoolers, and teenagers. When you come in to see us we will explain those distinctions to you. Just to give you a brief idea -- for preschoolers, you need to carefully monitor their brushing and begin flossing when they are 2 years old. For elementary and middle schoolers, you should continue supervising their dental care until they are in 2nd grade. But, continue to oversee their flossing until they are about 10 years of age. Lastly, for teenagers, try to keep the sugary snacks at bay, and make sure they are staying on top of their brushing and flossing. Make sure they are brushing their teeth at least twice a day. Give them a soft-bristled toothbrush that fits their mouth properly. They will be more enthusiastic about brushing their teeth if their tooth brush does not hurt their mouth. Show them the proper brushing technique and tell them to avoid scrubbing too hard as it can irritate the gums. Always rinse their toothbrush and keep it upright so it can dry and avoid growing bacteria. Replace the toothbrush every 3-4 months. For more information on our Teaneck, NJ pediatric dentist, contact Clifton Pediatric Dental Care at 973-473-7377 today. 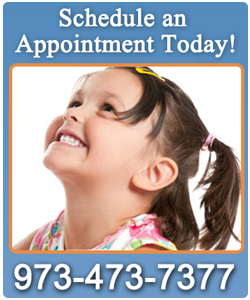 Have you been searching for a while for the perfect children's dentist in Passaic, NJ? Dr. Ari Sugarman of Clifton Pediatric Dental Care is the perfect choice! Our professional dentist in NJ knows the importance of your child having the best oral health possible. We treat patients of six months of age through adolescence, and hope to develop a foundation for good dental care early on. We all know that going to the dentist in North Jersey can be a scary and dreadful experience, especially for young children. We make an effort to create a cozy office environment so that your son or daughter can feel more comfortable when they visit. With individualized treatment plans, Clifton Pediatric's Passaic County kids' dentist caters to each child's unique needs. Our education, expertise, and state-of-the-art technology allows us to do just that! We also believe that staying educated is the best way to stay healthy. When your children come in to see us we will inform them about proper dental care so that they can take the right steps in keeping their teeth clean and cavity-free. For more information about kids' dentist in Clifton, NJ, contact us at 973-473-7377 today! Chances are, at one time or another, your child will experience a dental emergency. Kids are known to be rambunctious, running around and falling down. The important thing is to stay calm and react quickly, so that the damage can be minimized. When your child comes to you with an injury, immediately call Clifton Dental Care to speak with our Passaic County emergency kid's dentist. One of the most common dental injuries our Passaic County emergency kid's dentist deals with is knocked out teeth. Time is an important factor in the healing process when a child's tooth is pushed out from an injury. You need to call us within 30 minutes at most. If the tooth that has been removed is a permanent one, place it in a cup of milk or cool water while you make your way to our office. For more information about our Passaic County emergency kid's dentist and all the other services that Clifton Pediatric Dental Care provides, give us a call at 973-473-7377. We use special tools and equipment specifically made for children, so the materials are smaller and make for a better, more comfortable fit. Our Passaic County pediatric dentist makes sure his patients are relaxed through the use of special calming techniques. The combination of our focused training on pediatric dentistry, advanced equipment, and our specific-to-children treatment methods, makes our patients feel more comfortable when they come in to our office and less likely to dread their visits here. At Clifton Pediatric Dental, our PassaicCounty pediatric dentist understands the value of pediatric dental care. Children need to embrace a set of good dental habits early on, in order to avoid cavities, plaque build-up, gingivitis and other problems in the future. When your children come in, we will teach them how to take care of their teeth when they leave our office. Preschoolers – At this age, children are too young to take care of their own teeth so parents should brush their preschooler's teeth after breakfast and before bedtime. At age two, you can start introducing floss to the regimen. School-age Children – Until your child is around 7-8 years old, you need to continue over-seeing their teeth brushing. As for flossing, you need to continue supervising that until the age of 10. Teenagers – tooth decay and gum disease sets in at this time, affecting 60% of teens. At this age, teenagers are eating all the time, and they tend to eat unhealthy foods that are full of sugars and starches. This can wreak havoc on their dental health, so make sure they are flossing and brushing regularly. If you want to learn more about our Passaic County pediatric dentist, contact Clifton Pediatric Dental Care at 973-473-7377 today. At Clifton Pediatric Dental Care, our dentist in Clifton, NJ uses tools and equipment specifically designed for children. In addition to our focused training on pediatric dentistry, our equipment and treatment techniques are designed to help make treatment more comfortable for young patients. We specialize in providing pediatric dental care to children. When it comes to kids of all ages, we understand the importance of developing good habits in order to avoid the dreaded cavity or other dental problems that can be encountered. When started at a young age, this will your child to develop the proper routine necessary for future dental care into adulthood. 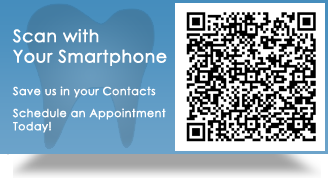 For more information, contact our office today at 973-473-7377 or scan the QR code. Have you been searching far and wide for the perfect Passaic County kids' dentist? Dr. Ari Sugarman of Clifton Pediatric Dental Care is the perfect choice! We know how important it is for your children to have the best oral health possible. We treat patients of six months of age through adolescence, and hope to develop a foundation for good dental care early on. We all know that going to the dentist can be a scary and dreadful experience, especially for young children. We make an effort to create a cozy office environment so that your son or daughter can feel more comfortable when they visit. With individualized treatment plans, Clifton Pediatric's Passaic County kids' dentist caters to each child's unique needs. Our education, expertise, and state-of-the-art technology allows us to do just that! We also believe that staying educated is the best way to stay healthy. When your children come in to see us we will inform them about proper dental care so that they can take the right steps in keeping their teeth clean and cavity-free. For more information about kids' dentists in Passaic County, contact us at 973-473-7377 today!